Our chiropractic physicians are equipped to deliver modern, personal and friendly chiropractic, care in your home or office. Chiropractic is founded on the principle of prevention. All patients are recommended biannual check-up examinations. Relieving tight muscles and trigger points can make a big difference in reducing joint stress and improving your overall quality of life. 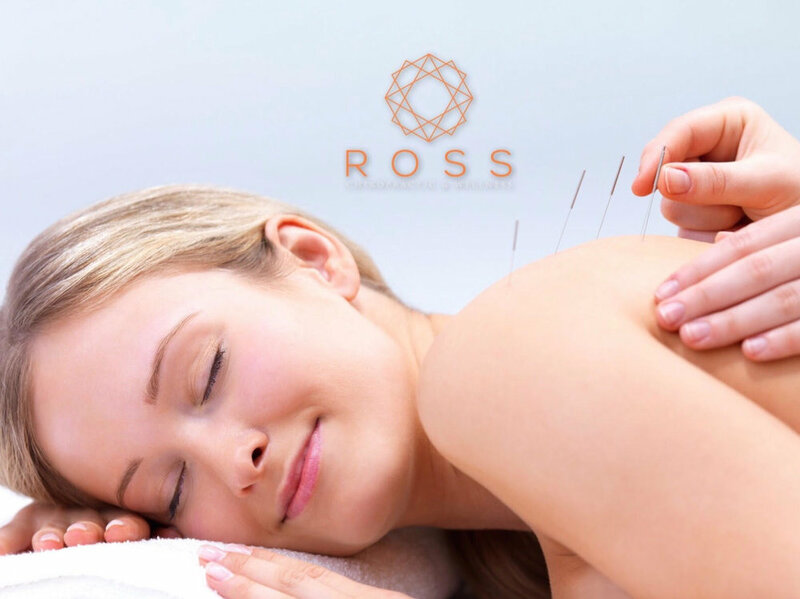 A complementary medical practice that entails stimulating certain points on the body, most often with a needle penetrating the skin, to alleviate pain or to help treat various health conditions. An ancient form of healing still used in the modern world by top-performing athletes, Olympians and celebrities. Customized, professional-grade supplements tailored to your specific needs. Back pain is the second most common neurological ailment in the United States - only headache is more common. Why are chiropractic adjustments helpful in these situations? The reasons for this vary, but there is one common theme: nerves located in the gut and brain are quite sensitive to neurological insult. By increasing proprioception to certain nerves, the gut-brain connection is improved. This works the same way in both children and adults. A healthier, “happier” gut at any age can help increase immune function, reduce inflammation and reduce pain in various parts of the body. There’s evidence showing that specific chiropractic adjustments, coupled with muscular rehabilitation techniques, may help prevent the progression of scoliosis. Organizations like the nonprofit Clear Institute, founded by Dr. Dennis Woggon, have set out to empower healthcare professionals with an effective chiropractic system in order to help treat people with scoliosis. In many case studies, participants have seen a 10 to 30 percent decrease in their scoliosis curvatures. You can read about some of the cases here. Each person is unique, and therefore responds to treatment differently. Healing times vary between people, and other factors often influence how a person responds to care. The type of work a person does, individual stress levels, weight, and other health problems must be considered when someone seeks chiropractic care. Each person’s care has to be designed especially for his or her needs – it’s not a “one size fits all” kind of care. Our first goal in restoring your health is to reduce your pain and improve your function to a tolerable level. During the Initial Intensive Phase, it’s necessary to treat you frequently. We expect a significant amount of pain reduction within two weeks. If this is not the case, then further evaluation and/or treatment plan modification will be made, or a referral if necessary. Two weeks is a short period of time considering that most problems take years to develop. Some people take longer than others to achieve relief from pain, but once you are beginning to feel better, you must be very careful not to be overzealous and push yourself to “over do it.” Aggravating your condition by over doing it can slow the healing process. Once you have reached your maximum level of function and improvement, our final goal is to maintain your health. The Wellness Phase of care is perhaps the most important service we provide our patients. Periodic examinations allow for early detection of joint and muscle dysfunction before they become painful. If allowed to go undetected and untreated, minor dysfunction can develop without symptoms until they are aggravated by work habits, lifestyle activities, or other stress factors. Many times people will invest a tremendous amount of time and energy into obtaining better health just to let it slip away by not maintaining it. Early detection and treatment are important to cost-effective health care. Make the most of your investment in your health by getting regular wellness care. Relieving tight muscles and trigger points can make a big difference in reducing joint stress and improving your overall quality of life. That’s why you should consider active release technique myofascial adhesion release (MAR). It can help turn on muscles that have been turned off due to injury and eliminate muscular pain. MAR is a type of soft tissue therapy that helps relieve tight muscles and nerve trigger points, greatly reducing joint stress or muscular pains. It helps individuals overcome a number of muscle- and joint-related injuries in a fast time frame. I now recommend that anyone recovering from similar conditions considers MAR. What Is Myofascial Adhesion Release(MAR)? MAR has been used by chiropractic sports physicians to treat patients dealing with a wide array of chronic pains or injuries. MAR is similar to deep tissue massage techniques because it works by manipulating soft tissue, thereby reducing stress placed on joints and nerves. The conditions that MAR is used to help treat naturally, often without the use of medications, are those that affect fascia (connective tissue), major muscle groups, tendons and ligaments. Most are the result of overused muscles, which contribute to scar tissue formation, tears, pulls, strains and inflammation. The goal is to restore normal mobility and “glide” between muscular tissue and nerves. It can also help push joint fluid throughout the body and stimulate the lymphatic system, which helps lower inflammation. The core benefit of MAR is preventing and breaking up dense scar tissue, also called adhesions. Adhesions limit the normal range of motion of joints and muscles because they cause abnormal binding between muscle groups, are very tough and are inflexible compared to healthy tissue. The reason that ahesions form is to bind injured tissues and keep them stable — however, the adhesions act like a strong “glue” and can often compress or pinch nerves. Nerves sometimes become entrapped by scar tissue, which causes trigger points and pain to develop. The more that scar tissue forms, the more joints or tendons become strained and nerves become compressed. Who Benefits Most from MAR Sessions? Once the underlying tissue problem is addressed, patients are less likely to experience other injuries going forward and can return to regular preventative practices like exercising, stretching and performing myofascial release. Cupping invigorates local circulation in the area being treated, resolving swelling, pain, and tension. By drawing impurities to the surface, it removes toxins. From a Western physiology perspective, cupping loosens connective tissue or fascia and stimulated blood flow to the surface. Cupping stimulates tissue relaxation and better cell-to-cell communication. The research of U.S. physiologist and acupuncturist Helene Langevin has documented cell-level changes using an ultrasound camera. Cupping is shown to relax tissue and reduce markers of inflammation. Inflammatory cytokines (chemical messengers) are reduced, and cytokines that promote healing and relaxation are increased. Cupping frequently causes marks on the skin. This is due to bringing blood to the surface, similar to a bruise. For patients with bleeding disorders such as hemophilia or who are being treated with anticoagulants, cupping may not be the best treatment option. People with these conditions should discuss the pros and cons of treatment with their doctor before receiving cupping. Cupping should not be performed on skin sites with active inflammation, burns, infection, or open wounds. Some discomfort can occur but should not be considered a side effect. Moderate, temporary discomfort is expected as stagnation is removed and connective tissue and muscles are loosened. How long do cupping bruises last? The bruises for cupping can last for a few days up to two weeks. It is expected that over several weeks of repeated cupping treatments the bruising will decrease as the circulation and healing improves. This indicates a successful result of a cupping treatment protocol. Most dietary supplements are safe, and some of them offer actual health benefits, but there can be some risk with their use. Dietary supplements are products designed to augment your daily intake of nutrients, usually vitamins and minerals. Other substances also fall into this category: botanical (herbal) products, amino acids, essential fatty acids and oils, enzymes, probiotics, and animal organ and glandular extracts are all sold as dietary supplements. Normally, you should be able to get all the nutrients you need from a balanced diet. However, taking supplements can provide additional nutrients when your diet is lacking or when certain health conditions cause you to develop an insufficiency or deficiency. In most cases, multiple-vitamin supplements provide all the basic micronutrients (vitamins and minerals) your body needs. These multiple vitamins are generally safe because they contain only small amounts of each nutrient. Individual nutrients can also be sold as dietary supplements, but usually in larger amounts than what's found in a typical multiple-vitamin. They may be used to treat a deficiency, such as iron deficiency, but sometimes they're used therapeutically to treat specific health conditions or risk factors. For example, large doses of niacin may be used to raise good cholesterol, and folic acid has been used to reduce the risk of a birth defect called spina bifida. Scientific research supports some of the benefits of using many dietary supplements for certain health conditions, but in many more cases, the effectiveness has not been backed up by the research evidence. The National Institutes of Health Office of Dietary Supplements has dietary supplement fact sheets that assess the evidence for (and against) the therapeutic use of a large number of dietary supplements. In the United States, dietary supplements are not regulated as strictly as drugs; manufacturers do not have to prove that their use is either safe or effective. Standardization of supplements is optional, although they are prohibited from selling unsafe products. The Food and Drug Administration (FDA) maintains a list of tainted products that are marketed as dietary supplements. The worst offenders are usually weight loss aids, "natural" sexual enhancement pills, and supplements targeted at bodybuilders. Most dietary supplements are safe as long as you follow the label instructions, but large doses of certain nutrients can have strong biological effects on the body. While that may be beneficial in some cases, there are times when taking large doses of individual supplements can be dangerous. For example, the fat-soluble vitamins A and D can build up to toxic levels in your body when taken in large doses over extended periods of time. Vitamin B-6 is a water-soluble vitamin, so your body doesn't store it as efficiently as a fat-soluble vitamin, but prolonged use of vitamin B-6 in large amounts can cause nerve damage. Large doses of vitamin C may cause diarrhea. Mineral supplements can also be dangerous. For example, selenium, boron, and iron supplements can be toxic in large amounts. Some dietary supplements can interact with over-the-counter or prescription medications, or even with each other, and some supplements should be avoided before undergoing surgery. Ask your health care provider about supplements before taking anything beyond basic multiple-vitamins. Traditionally, certain essential oil application methods have been preferred or used exclusively. However, as the research surrounding essential oils continues to develop, a greater understanding of application methods is now understood. All application methods are safe when used appropriately, including aromatic, topical, and internal methods. One or multiple application methods can be used for a wide range of emotional and physical wellness applications. They can be used a single oil at a time or in complex blends in one of three methods: aromatic, topical, and internal. Acupuncture is a great way to alleviate these symptom. By bringing blood flow to problem areas, acupuncture can increase healing time and decrease your symptoms. Nerve ending are stimulated and from this, nerves send signals to the brain. The brain releases hormones, pain killing substances, and immune-boosting cells to clean up cellular debris—getting you back to normal. Typically, patients will leave with less inflammation, feeling euphoric or happy. Acupuncture also increases pain, so you’ll feel less pain. Acupuncture can be used to treating other issues including nerve damage, infertility, PTSD, depression and more. For more information or to schedule an appoitment, call our office at 262-676-9370 or reach out here! The National Center for Complementary and Integrative Health's page on acupuncture. Memorial Sloan Kettering's comprehensive site on the use of acupuncture as a complementary treatment option. Our chiropractic physicians are equipped to deliver modern, personal and friendly chiropractic, care in your home, office or hotel. Ross Chiropractic & Wellness is the premier mobile chiropractic practice serving select parts of Chicago and Southeastern Wisconsin who seek the convenience and discretion of a personal chiropractor. Our chiropractors are equipped to provide chiropractic adjustments, acupuncture (IL only), cupping, myofascial release, and functional massages wherever- house, office or sporting event. Our Mobile Chiropractors are Ready to Treat You! Our chiropractic physicians are equipped to deliver modern, personal and friendly chiropractic care in your home or office. Our chiropractors care for the entire family (infant to young-at-heart). The initial evaluation is your first session and consists of a patient health history, exam and treatment. This session is approximately 30-60 minutes in duration. Ross Chiropractic & Wellness does not accept health insurance for house calls.